Started in 2008, the Garden-in-a-Box program was created by MSHS to teach vegetable gardening to kids so they would eat more fresh produce. MSHS distributes vegetable gardening kits to community groups. 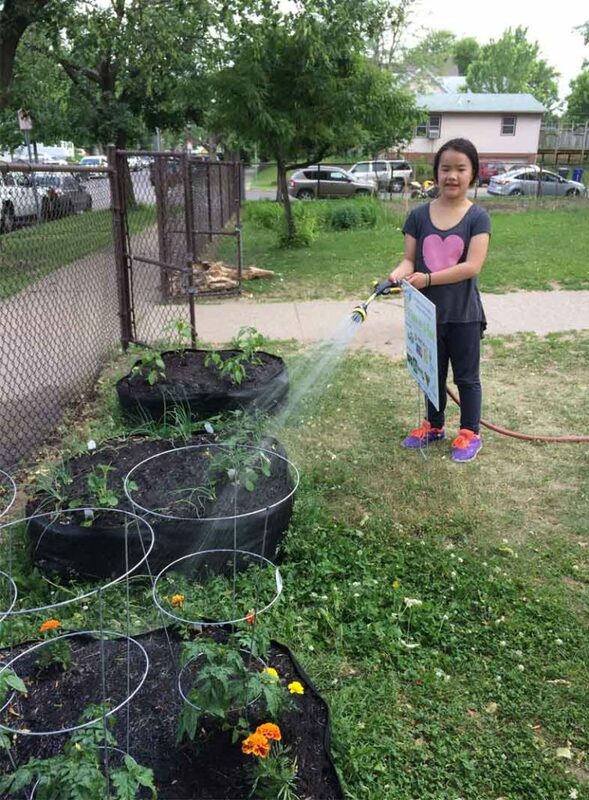 The program provides an opportunity for children and families in need to experience the benefits of gardening: affordable healthy food, outdoor activity, education and community building. It gives childcare providers, community program coordinators and teachers the chance to incorporate hands-on learning experiences into their programs. We partner with other organizations to distribute vegetable gardening kits; organizations have the garden kits on site or distribute to families to grow at home. Partnering organizations can be nonprofit and community organizations, childcare centers, community centers, schools, and in some cases, family homes. This year, we are partnering with organizations in the Twin Cities metro area along with organizations in Northern, Central, and Southeastern Minnesota. 3’ diameter polypropylene box from Garden Circles Raised Bed Gardens. The box is 1’ deep. Enough soil from CreekSide Soils to fill the box (10 cubic feet). A selection of vegetable plants from Wagners Greenhouses suited for small space gardens. Seeds from Seed Savers Exchange. You also receive educational support on gardening and cooking, youth friendly gardening materials, and access to expert gardeners. Once accepted into the program, you are eligible to receive plants, material, and support for three growing seasons assuming you complete all requirements.